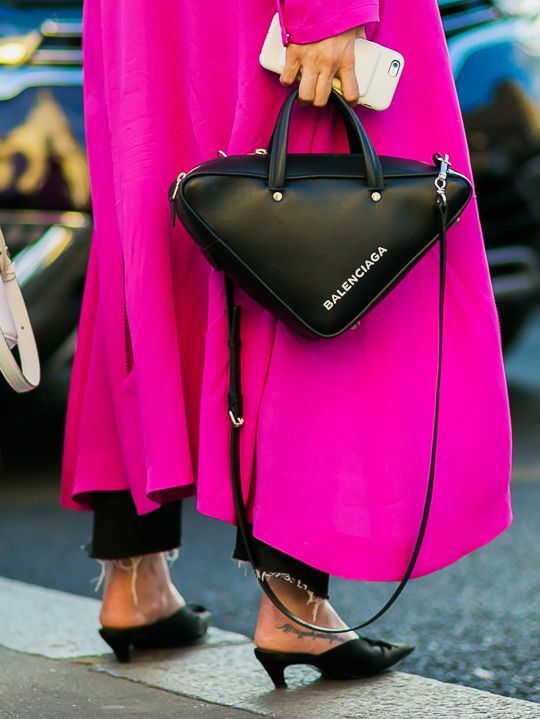 It seems that bag trends are changing entirely almost every season, if not every month. From micro and box bags, to top handle, or larger styles (such as the hobo or the leather backpack) there seems to be a new trend in the forever interchanging mix. So it's not at all surprising that something new (but also old) has caught our eye of late. We've spotted the drawstring silk pouch hanging daintily from the fingers of street style starlets everywhere. Since you may not remember holding one yourself since the days of high school formals or awkward school dances in the '80s and '90s, we're here to show that we have cold-hard proof you're going to want the new luxe versions. The perfect size for only the essentials, the silk pouch is a no-fuss lesson in focusing on just the basics. 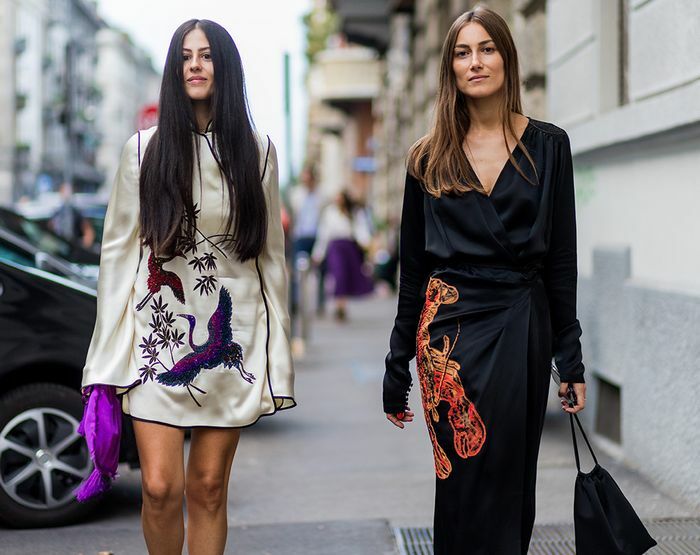 And we're taking styling cues from Attico designers Giorgia Tordini and Gilda Ambrosio since they have been frequently seen both holding the bags in their hands as if it was a clutch, or just casually letting them swing from the drawstring by the tips of their fingers. Simple, feminine, and delicate. Keep scrolling to be inspired by the street style looks and to buy your own silk drawstring pouch. Style notes: We're not shying away from print on print. Break it up with a hefty dose of black. Style notes: Wear contrasting colours to make your silk pouch become a statement of its own. Style notes: Add quirky accessories to an otherwise classic outfit for a unique look. Style notes: Pair silk pieces with casual denim and classic heeled Gucci mules. The perfect accessory to accompany your silk robe dress this season. This blush colour just needs a perfect red lipstick. A simple monochrome print for every day. The only accessory we care about for date night. This colourful striped number is 100 percent covetable. Love new trends? Follow us on Pinterest.